We’ve spent quite a few posts on Angry Birds in the last months, and now the super-popular smartphone game is coming to the Sony PlayStation 3 (and PlayStation Portable) via this week’s PlayStation store update. That’s right, you’ll get to play Angry Birds on an HD console or a portable gaming system (which doesn’t have a touchscreen). Angry Birds’ Sony version is a so-called “Playstation mini” title, which means buyers will be able download the title for both their PS3 and PSP. The downside is that the Playstation version will offer just 63 levels (initially, at least), a far cry from the 210 levels the $0.99 iPhone original boasts. Maker Rovio has neither revealed the price for the Sony download nor plans for possible add-on level packs yet. But now we know what the 40 people working on the title have been doing recently. 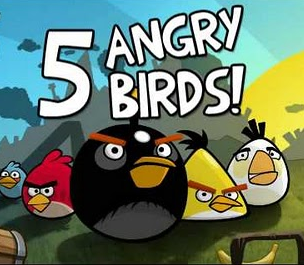 Don’t be surprised to see Angry Birds show up on Facebook in the near future as well.